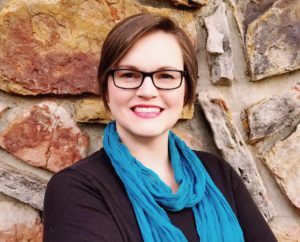 I am Christi Berry and I am running for Justice of the Peace to bring a new perspective to the Faulkner County Quorum Court and give a voice to the residents of District 9. I am a Speech-Language Pathologist working in early childhood special education. I travel to daycares and preschools around Conway to provide speech therapy to children ages 3-5, at no cost to the families, on behalf of the public schools. I love serving my community and providing critical early intervention services that connect my students with the supports they need to have the best chance of success in school and in life. Speech-Language Pathology is an evidence-based practice. As an SLP, I take data from a variety of sources and use that information to make decisions that serve the best interests of my students. I have to be able to think critically and carefully evaluate the information presented to me and its source, so that I can be confident I am providing the best recommendations for each individual I serve. I did not grow up in Conway. I graduated from Cabot High School and started college at Arkansas State University-Beebe. Kyle, my highschool sweetheart, and I decided to get married to better our chances at getting financial aid and transferred to Arkansas State University in Jonesboro. (I know, I know. It’s so romantic!) We worked hard, adopted a dog, rescued a cat and were making big plans for life after college, but just before I graduated with my masters in communication disorders, I discovered that I was pregnant. When we thought about where we wanted raise our family, Conway was the home that we chose. We’ve loved every minute of the last five years of living in Conway and all that Faulkner County has to offer! We still have our precious mutt and sometimes semi-wild cat, but now we also have two children who keep us on our toes! Kaylee is 6, entering 1st grade in Conway public schools and loves dancing at Sonshine Academy. Carter is 3, entering preschool at Sallie Cone, loves PJ Masks and Princesses, and sings all day long. Kyle is an amazing full-time dad to both of them and also serves as part-time choir director at First United Methodist Church in Maumelle. ​In my free-time (what there is of it! ), I enjoy crafting, singing, running and yoga. I’ve completed three half-marathons to raise money for Arkansas Children’s Hospital and Soaring Wings Ranch. ​I look forward to getting to know the residents of District 9 and earning your vote on November 6th, 2018!